To blog, or not to blog? That is the question we understand all too well. Blogging takes time. It can exhaust your creative juices, of which there are already a limited supply. There are other, more important, revenue-generating tasks you could be devoting your time to. You've got your best writers doing ad copy already. 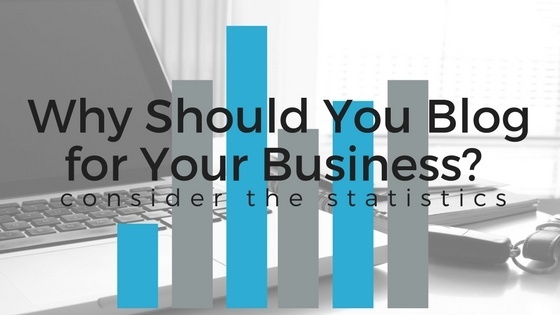 Besides, it's not like blogging is actually that great for your business. That's a lie businesses tend to tell themselves when they feel they lack the time and resources to commit to blogging. It's an easily justifiable one, too. Blogging will not generate revenue right away. You will not see instantaneous traffic. However, over time, blogging has a powerful, revenue-impacting effect on companies of all sizes. Here are several statistics to help illustrate this truth. Businesses that blog at least 20 times per month generate over 5 times more traffic than those that blog fewer than 4 times per month. Businesses that blog at least 20 times per month generate nearly 4 times more leads than those that don’t blog. Among those who use email marketing, companies that blog get twice as much traffic from their email than those who do not. So, to blog or not to blog? I think you know the answer. Curious about other ways you can increase exposure while creating value? Click here to download our free ebook outlining the foundation to successful inbound marketing.